We’ve been making great progress putting this old timber frame back together. 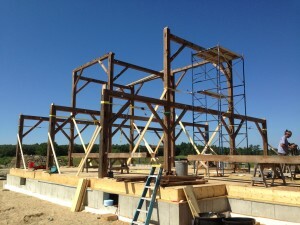 With a few adjustments, the “ell” of the barn is becoming a recycled house frame. 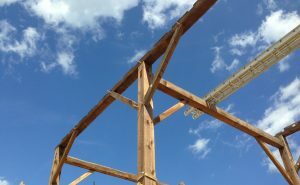 The old timbers are in fantastic shape! 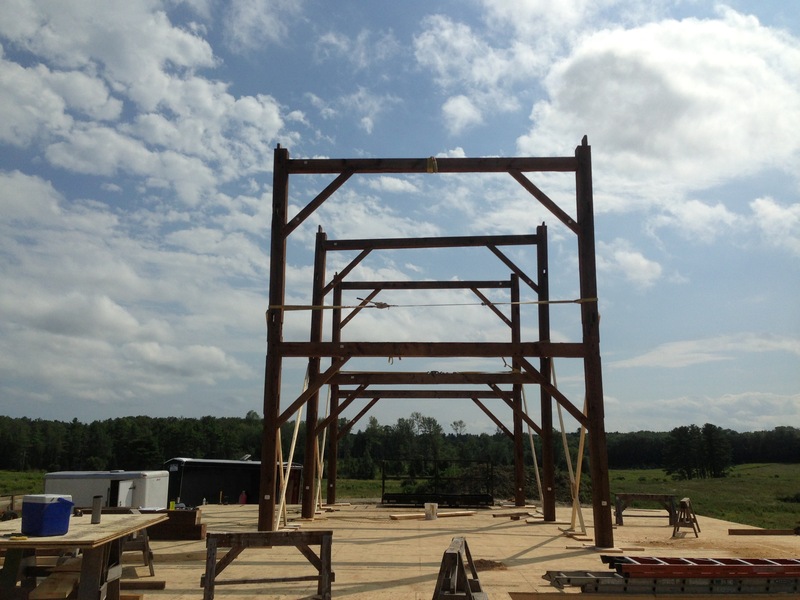 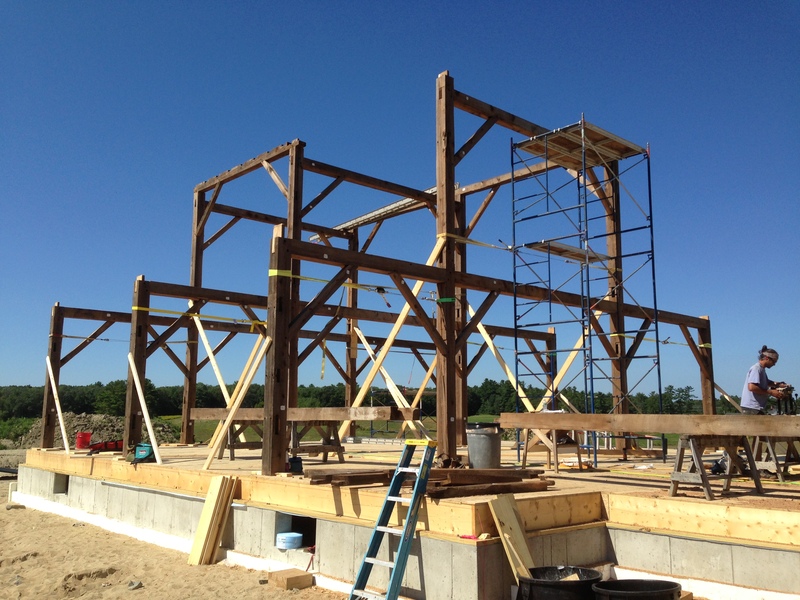 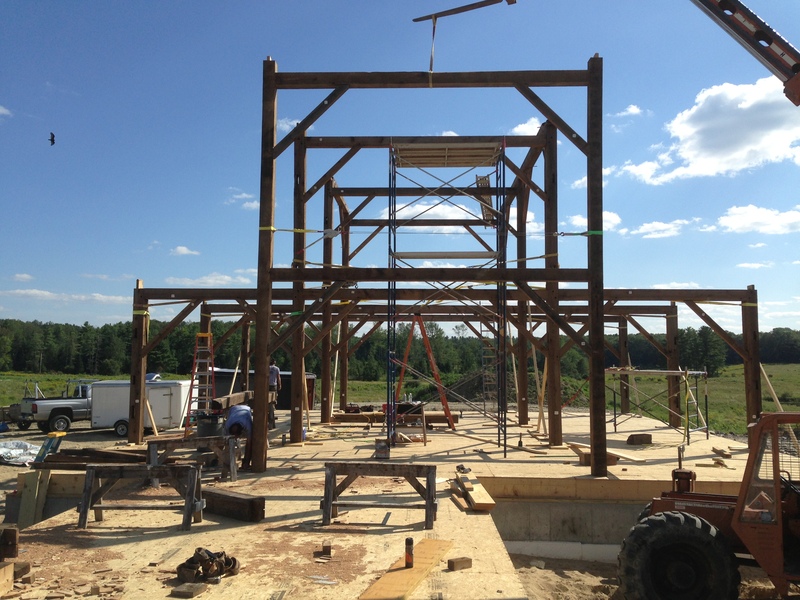 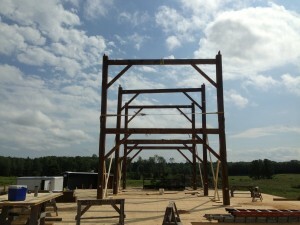 Posted in Barn Custom Home Design Post and Beam Timber Frame and tagged with custom timber frames salvaged timber frame .